from People of the Book (copy editor). Infers the existence of Creator of the universe at the age of three. Thrown into furnace by Nimrod for rejecting idolatry. Moves with his father from Ur Kasdim. Has a prophetic experience at the age of 75, in which G-d instructs him to travel to Canaan. Battles the 4 kings in order to rescue Lot. Marries Hagar and fathers Yishmael. Changes name from Avram to Avraham. Fathers Yitzchak, following a miraculous conception. Binds Yitzchak at the akeidah. Purchases Me’aros HaMachpalah and buries Sarah. Sends Eliezer to find a wife for Yitzchak. Marries Keturah and bequeaths all of his possessions to Yitzchak. Dies and is buried by Yitzchak and Yishmael in Me’aros HaMachpaleh. In the first two millennia of history preceding Avraham, mankind had completely lost its way. Twenty generations came and went, but the world remained spiritually vacant, enveloped in a state of darkness. In his youth, Avraham saw that every created being is destined to die. Perceiving the eternal soul or sparks within, he concluded that there had to be an eternal, infinite force beyond the mortality of the world. Thus, Avraham discovered God, in a process that our sages compare to a traveler who, passing by a burning castle, inquired: “Can it be that this castle has no master?”--upon which the master revealed himself. Similarly, Avraham asked, “Is it possible that the world has no master?” and G-d appeared to him and said, “I am the Master of the Universe”. A fearless iconoclast, Avraham renounced the idolatry prevalent in his society; as the pioneer of humanity’s search for the divine, he was prepared to die in Nimrod’s furnace rather than retract his condemnation of idol-worship. Thus, he is called Avraham Ha’Ivrei—literally, “Avraham the other-sider”—for he approached life with a perspective opposite to that of the pagan society that surrounded him. Avraham was a light that banished the blackness of idol worship and kindled the flame of spirituality. His mission was to reinstate G-d in His creation…permanently. Avraham single-handedly revolutionized the world. Proclaiming G-d as Master not only of Heaven but of Earth, he fathered a movement that drew people away from idolatry and brought them to G-d. This heralded the second phase of history: the era of Torah, which is the “blueprint of creation”. Using his ability to derive the Torah from G-d’s universe, Avraham instructed every person he encountered on how to relate to God and express gratitude for His eternal acts of kindness. Avraham was the fount and conduit of blessing and kindness in the world. Wherever he traveled, he invariably “proclaimed G-d’s Name in the world,” and emulated his Creator’s kindness, which is the very foundation of creation. Just as the “world is built upon chesed”, so did this patriarch shower his guests with shelter and food, and grant them all their needs, and then redirect their gratitude to the Source of all benevolence. Avraham’s unparalleled love of mankind--his open tent and his supreme hospitality (for he was the paradigm of chesed, kindness)– made an everlasting impression upon mankind. Passing ten supreme tribulations in the course of his life, Avraham became an example to others. 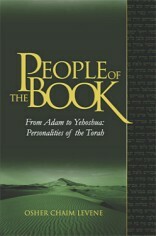 Through his teachings and exemplary behavior, people gained an awareness of the presence of G-d.
Avraham’s triumphs and his great personal sacrifices as well (such as reluctantly expelling his son Yishmael, undergoing circumcision at the age of ninety-nine and his willingness to sacrifice his cherished heir Yitzchak at the akeidah) bore eloquent testimony to his submission to his Creator. Just as a convert sheds his earlier identity, so did Avraham. Known as the first of the converts, he was a brand new creation whose miraculous escape from Nimrod’s furnace marked his symbolic rebirth as a newly-forged entity--after which he was divinely instructed to journey away and break off all ties with his past (thus, the Chumash account of Avraham’s life begins at this point). Avraham inaugurated nothing less than a new mode of existence when he proclaimed G-d as Master and Benefactor. Avraham lit up the world by identifying the purpose of creation: developing a relationship with G-d and becoming G-dly. That the world was irrecoverably altered was a reflection of his personal metamorphosis. Indeed, Avraham was the reason for creation – it is hardly surprising to learn that the letters of the word be’hebaram, “when they were created,” may be rearranged to form the word b’Avraham-- “[created] for the sake of Avraham”. Only from an Avraham, a pillar of the world and the first to acknowledge G-d as Master [of the Universe], could the true nature of creation truly begin. The ten arduous trials that Avraham passed correspond precisely to the ten proclamations with which the world was created. The unfolding revelation of creation would be mirrored in the emergence of Avraham, as revealed through his Herculean efforts in his ten trials. His unflinching commitment to G-d made him the archetype of a people who would have the potential to fulfill the purpose of the existence of the universe. Idolatrous society had failed to forge a bond with G-d or to detect the eternal soul that animates life. But Avraham succeeded in doing so—and thereby established the permanence and viability of the world’s existence. The summation of Avraham’s divine service lay in his admission, “I am earth and ashes”. He repeatedly incinerated his past achievements, decomposing them into “ashes” – the bare elements left after an object has been burned – focusing instead on renewing his relationship with G-d, which provided him with the “earth”, the fecundity from which new life emerges. The ashes are the last vestiges of a former existence. The earth of the ground, in contrast, is the layer of soil, which contains the potential for a new existence. So did Avraham remake himself so that he and his descendants would uphold the covenant in order to actualise the purpose of creation. Avraham thus created the supernatural nature of the Jew. He was the antecedent that would find full expression in the chosen people whom he would sire. Bris milah, the “covenant of circumcision,” sealed the pact between G-d and Avraham. With his circumcision, Avraham gained full control of all 248 components of his body– equal to the numerical value of the name “Avraham”. With his circumcision, he became complete. The covenant of circumcision signified as well how the Jews would unreservedly commit themselves to serving G-d, fulfilling the purpose of creation by observing the Torah under all circumstances. Circumcision symbolizes the need to enable the world to reach perfection. The imperfections of the world invite man to set them right. In rapport with the underlying theme of circumcision, the Jewish people strive to help the world attain its perfection. Every Jewish male enters “the covenant of Avraham”. He becomes a member of a nation whose existence transcends the natural order – just as G-d instructed Avraham to go “outside” nature in the miraculous conception of Yitzchak. Avraham’s legacy is the inspiration to dedicate ourselves unreservedly to the Torah, to a life punctuated by acts of kindness and the exaltation of G-d’s Glory.The people of Israel inherited Avraham’s tenacity to stand against world opinion as the “other-sider,” in order to be “a light onto the nations”. Following twenty inconsequential generations of mankind, Avraham received the reward of them all (Avos 5:1-3). Bereishis Rabbah 42:8. See our essay on Nimrod: The Rebel. The verse “There shall be light” (Bereishis 1:3) refers to Avraham (Bereishis Rabbah 2:3). The name of his birthplace, Ur Kasdim, signifies “light” (Ur) coming out of the darkness of the valley (Kasdim). Bereishis 12:2: “You should be a blessing”. Bereishis 21:33. Despite being in pain whilst recovering from his bris milah, he nonetheless sought to find wandering guests to invite into his home. When a guest wanted to recompense Avraham for his kindness, he would persuade him to instead “bless G-d of the Universe for eating from [the world that] is His” (Bereishis Rabbah 49:4). “To give chesed, kindness to Avraham” (Micah 7:20). This mirrors the ex nihilio of creation. See our essay, Yisro: The Convert. Ohr Gedalyahu, Lech Lecha. See Maharal (Gur Aryeh, Noach) on how Avraham’s journey away from home closes a chapter in his life. Bereishis Rabbah 12:4. Indeed, the Midrash remarks that Avraham should really have been created before Adam. Bereishis Rabbah 14:6. Bereishis – creation was the sake of Israel who are termed reishis, the first (Rashi, Bereishis 1:1; Bereishis Rabbah ?:?. See the discussion by Ramchal, Derech Hashem 2:4:2-5, about the time period for the roots and branches of humankind to rectify Adam’s sin and the identity of the Jewish people. Bereishis 15:5 & Rashi ad loc.